In the wake of the Pulwama bombing, France—which held the presidency of the UNSC for March 2019—introduced a draft resolution, backed by the United States and United Kingdom, to formally designate Masood Azhar as a global terrorist. This proposed resolution was entered under the framework of the informally-named “Al Qaida Sanctions Committee” (or “1267 Committee”) formed pursuant to UNSC Resolution 1267 (UNSC, October 15, 1999). If approved, this resolution would have put a global travel ban on Azhar and frozen his assets. However, on March 13th the PRC formally placed a “technical” hold on the resolution, effectively killing it. This was the fourth time that China so acted to protect Masood Azhar in the UNSC (Nikkei Asian Review, March 15). The official explanation offered by Chinese diplomats and media for the hold was that the PRC needed “more time… to conduct a comprehensive evaluation” of the resolution and its merits; and that in the meantime, an orderly UNSC process would “help related countries solve their issues through dialogue and discussions, and avoid complications that could have an impact on regional peace” (Global Times, March 14). Pakistan has been a strategic partner of China since 1962. During the last 57 years regimes have changed along with international politics, but Pakistan’s relations with China have remained close. China helped Pakistan during its wars with India, against the Soviet Union in the Afghan War, and also with the development of Pakistan’s nuclear program (Times of India, January 28, 2017). Likewise, China has consistently stood with Pakistan in the UN Security Council. Over the years, India has lobbied for multiple UNSC resolutions against Pakistan-based groups that India claims are involved in terrorism. However, as a permanent member of the UNSC, China has used its veto power generously to provide diplomatic cover for Pakistan. If the UNSC designates Azhar, or others like him, as terrorists then it will not only damage the international standing of Pakistan, but also potentially generate problems for Pakistan internally. 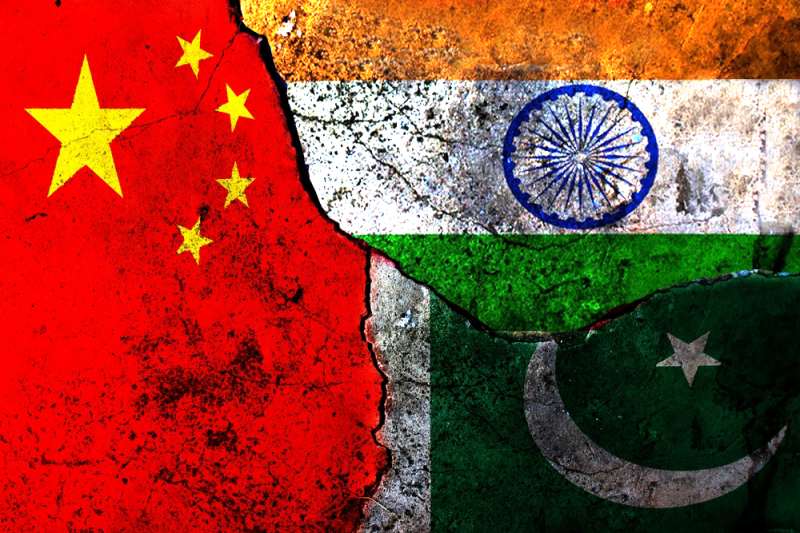 China attempts to indirectly counter India by supporting its arch-nemesis Pakistan. India stands as a major impediment to China’s goals to become the undisputed leader of Asia. Although the size of the Indian economy is nowhere near that of China, India is projected to overtake China as the world’s most populous country by the year 2024 (Times of India, June 21, 2017), and its military power presents a potential challenge to the PRC in South Asia. In addition to that, India has also given refuge to the Dalai Lama since 1959, and is home to the Tibetan government-in-exile. Therefore, China is apprehensive of India’s rise and perceives it as a threat not only to its own aspirations of global dominance, but also for the security of Tibet (China Daily, April 5, 2017). India is constantly facing the menace of terrorism: terrorists have attacked the Indian parliament, its financial hub Mumbai, and launched countless attacks in Kashmir. These attacks not only affect the growth of the Indian economy, but also prevent it from attaining the status of a fully secure country (India Today, October 6, 2015). India wants to get rid of its terrorism problem, and it believes that the only way to do so is to confront Pakistan. Each and every time India blames Pakistan for acts of terrorism, China provides diplomatic cover to Pakistan in the UN Security Council—therefore, the PRC is effectively aiding terrorist groups that target India .